But mom life is never not going to be busy, so my challenge this week was staying present amid the everyday chaos. It’s easy to get caught up in the grind and look only to the future, trying to use every free minute to cross something off the endless to-do list, instead of focusing for a second on what is right in front of you. 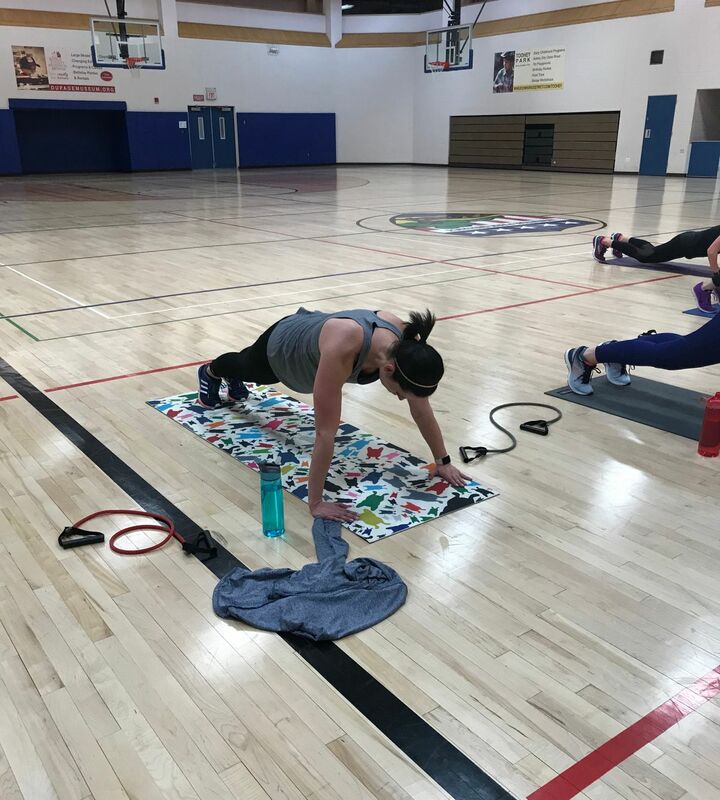 This session, we always finish our Body Back class with a “grateful plank.” On Wednesday night, during that 1-minute plank, focusing on all the things I am grateful for – my kids, my husband, my family, my health – I found what I needed: a moment of stillness. In that big, open gym, surrounded by other grateful moms, for 60 long seconds, I was the only thing in the world I focused on. I left Wednesday evening feeling recharged. On Thursday, I reprioritized: I was 5 minutes late to work but I didn’t snap at my kids to get their coats on faster in the morning and I let Sawyer painstakingly climb into his car seat “by himself!” (the constant refrain of a 2-year-old). I was present instead of rushing, and his proud smile when he finally settled himself in made the extra minutes worth it.